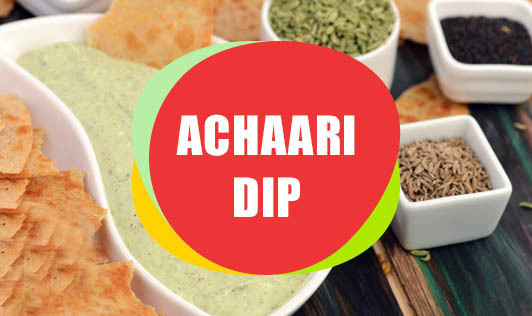 Made with 5 different aromatic spices, coriander, and green chilies, this hung curd-based chilled dip will make your taste buds dance with joy and keep you craving for the next bite. Heat oil in a nonstick pan and add fenugreek, cumin, fennel, and nigella seeds. Add a pinch of asafetida and mix well. Add coriander, chilies, and powdered sugar in a mixer and blend it to make a smooth paste. You can use 1 to 2 tablespoons of water if required. Mix this paste with the achaari mixture and whisk well. Refrigerate for an hour and serve chilled with khakras, flat bread, or vegetable sticks.